We’ve shown you how to remove ads from native Windows 8 apps How To Remove Ads From Native Windows 8 Apps How To Remove Ads From Native Windows 8 Apps In-app adverts have become a bit of a problem for Windows 8 users, particularly for those native Microsoft apps that you’ve already paid for. With third party apps you get the option of upgrading to... Read More , but how much would you be willing to pay for an Internet without ads? If your answer was close to $139, you’re in luck. Meet AdTrap, a new device that promises to block all online ads, whether on your computer or on your mobile. 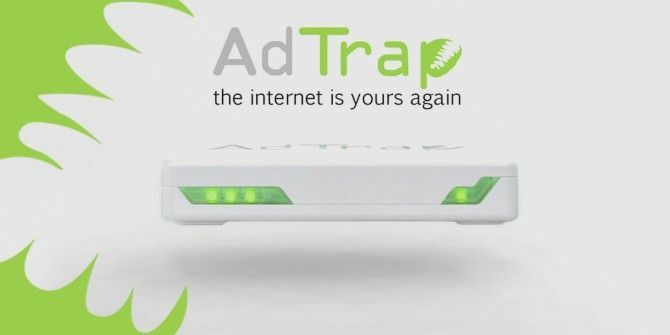 At its most basic, AdTrap is a firewall for online advertisements that sits between your modem and your router, filtering out commercials. The little white box is a small, zero-configuration device that works with video and music streaming services, regular web pages and almost anything else with ads. You can use it on your desktop, mobile phone, PS3, Boxee, Apple TV or server. And it works on any browser. It’s not just banner ads that AdTrap blocks. It works with YouTube to block those unskippable commercials and eliminates in-game ads on your Android device. Mashable says it has a few problems with Hulu that are being worked on, but there are other ways to stop Hulu ads No Hulu Ads: Block Hulu Ads With a Black Screen & Return To Your Shows No Hulu Ads: Block Hulu Ads With a Black Screen & Return To Your Shows Read More . 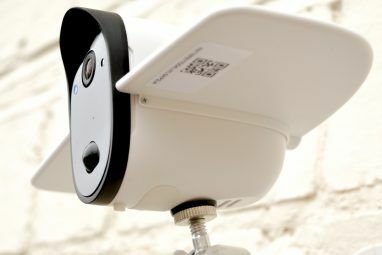 The device is also open-source and ready for hacking. 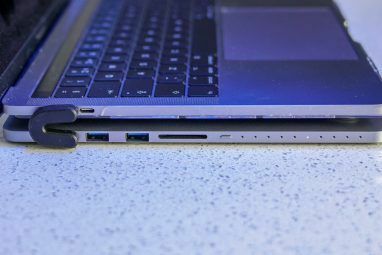 Running on Linux, it’s powered by an ARM Cortex A8 720MHz processor, 256MB RAM, 1GB storage and has 2 Gigabit NICs. While its ideal config is with a separate modem and router, it works with all-in-one modem-router combos too. Additionally, it allows users to support their favourite websites by making a whitelist of portals where ads will show up — ads are what run those businesses, after all. At a time when sites like Instagram are considering ads as a revenue model Ads Coming to the Instagram Feeds of US Users Ads Coming to the Instagram Feeds of US Users News of ads in your Instagram feed have been rumoured for over a month, and the official announcement was made on Thursday. Read More , this could be a revolutionary device. 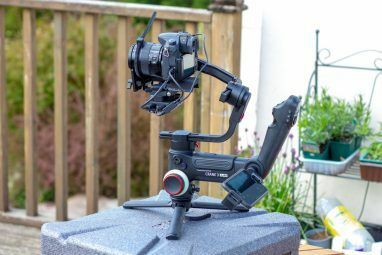 After a successful Kickstarter campaign, the gizmo is now ready to be purchased from the company’s website for $139, and it ships globally. Ads are a blight, they push stuff I am not interested in, almost exclusively offensive disgusting and insulting. Not to mention the obnoxious increase in volume come commercial time. If I want something, I'll look it up. I use advertising, primarily, to determine what me and mine will not ever purchase. Free isn't cheap. They waste MY TIME in a way that so rarely invokes my interest that they are wasting their advertising $$$. Make sure I can find your product when I want it, then you'll get my hard earned money :). If you are the ilk who claim your service/app is free and then inflict third party ads: a pox upon you! third party interweb ads ARE A COST. The problem I have is when I pay for a service like HuluPlus and am still bombarded with ads... I remember when HuluPlus maybe had one advertisement during a break, but now they have like four or five which is absolutely absurd. These are the sites I am looking forward to using this box with. I am cutting the cord with Cable in the next week so this little box will come in handy when it comes to these types of ads. Hypocrisy thy name is MUO! On the one hand MUO runs a feature article on a device that eliminates all Internet ads. OTOH, MUO writers excoriate those that use AdBlocker. Funny how ads exist to support a free Internet, yet people are willing to pay to have those ads removed. I feel like there's something deeper here. Why should you use this? It is as good as blocking ads with the hosts file (AdAway on Android). Maybe it's good for people without a rooted phone but then a Raspberry Pi would be the cheaper solution to filter those ads. I think the idea is to block the ads before they hit the device. With local hosts lists and etc, the ads and all of the data is going in from modem, out the router to either connected ports/wireless, and if blocking is done at that level, then blocked there. This would take care of it before it hits the local downstream. As mentioned, I have a similar setup, just via pfsense. It works well. LuckyPatcher allows elimination of that resource abuse, too. Sure it has nefarious uses but so does a hammer. however some people put food on their tables thanks to the ads that "pollute" our browsers, many companies function thanks to ads. Wanting to remove ads is like asking people to work for free... which is basically slavery. So while it may be too much sometimes, using ABP or equivalent is a good middle point I believe, it blocks most of the ads that are intrusive, but still leaves some (unintentional) which allows every party to benefit from the internet. It only leaves the ones that pay ABP. Funny that. Some people conduct genocide for a paycheck. No it's like asking people to work. Or it's like demanding everyone asking for money has a right to yours. There is no contract with the viewer. Want a contract? Forge one and secure CONSENT. Wonder if this thing is robust enough to block in-app ads, as well as ads on Roku, Xbox dashboard, etc. This is interesting, I run pfsense w/ squid/squidguard @ home to take care of a lot of ads, but some do sneak through. I wonder how the 2 compare. All in all my pfsense box can do a TON of stuff, and I paid around the same for the machine after all parts. I wonder if they are generating their own blocking lists or re-using publically available ones like pfsense. Perhaps I just need to tweak my pfsense box a bit more. However this is a great idea for plug/play people, as a pfsense solution is def a more DIY project. As someone who makes a living on the internet: I prefer getting paid.